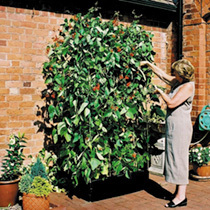 Perfect for a whole range of plants, including runner beans, peas and tomatoes, our mini raised bed consists of two 97.5cm (38") long, and two 51cm (20") wide, 25cm (10") high panels (injection moulded from 100% recycled material) plus a 165cm (65") high aluminium crop support frame that anchors in each corner to provide a rigid support for canes, netting or string. 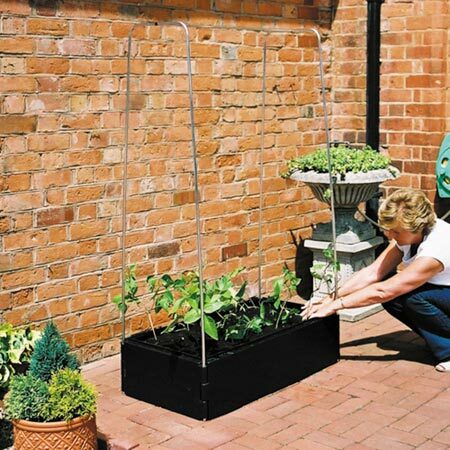 Use it in the veg garden to give crops an extra boost, or alternatively to create a new bed on the patio. Can be assembled in minutes, and easily flat packed for storage. Capacity 115 litres. Liner: On a patio or decking, a liner is a must. Our one piece woven liner is perfectly sized to fit. 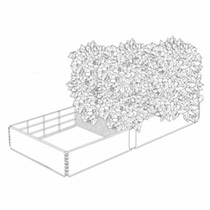 Being porous, it allows excellent drainage but will not allow compost to pass through, and its four corner loops allow the contents of the bed to be cleanly lifted out at the end of the season. 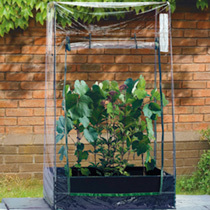 Clear Cover: Enchance the productivity of your Mini Raised Bed with a cover! 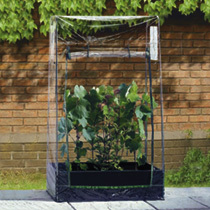 It has a zip-up access door, two side vent windows, and 8 ground stakes (only required if used on soft ground). 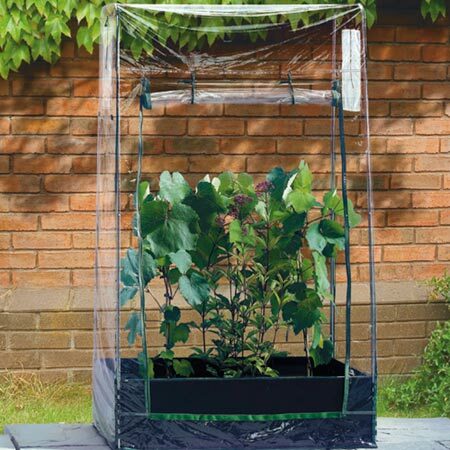 Fully UV stabilised, it offers frost protection, and turns your Mini Raised Bed into a Mini Greenhouse! Extension Kit:Extension Kit: Comprises two panels, steel 'U' brace and necessary fixings, to double the capacity of your bed! Assembly requires the use of a drill.